Twenty-four hours ago I didn’t know how to pronounce “diorama” let alone know what one was. Thank goodness for Internet! Our science for the first few months is biology and we’ll be spending a considerable amount of time on animals (then we’ll get to humans, then plants). 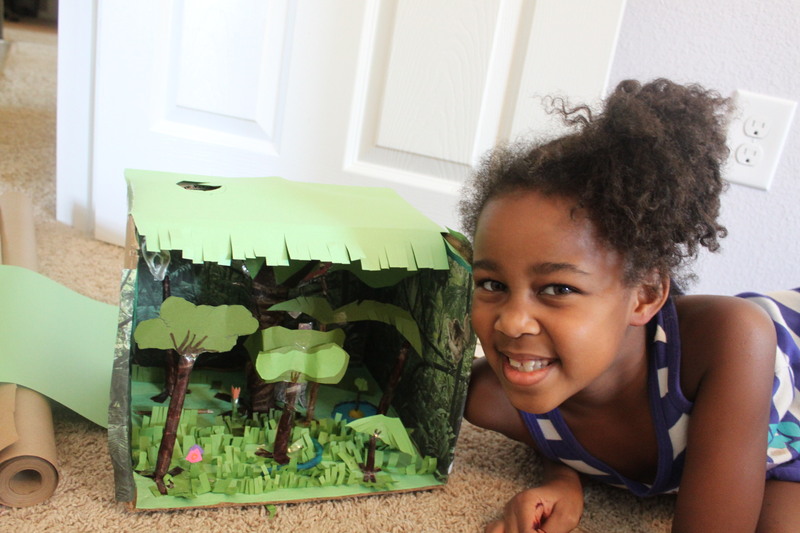 Our current lesson is very general – regarding animal camouflage, defense, habitats, and migration… so I used the opportunity to expound on different types of habitats then hone in on one by building a model with Olivia and Farrah. 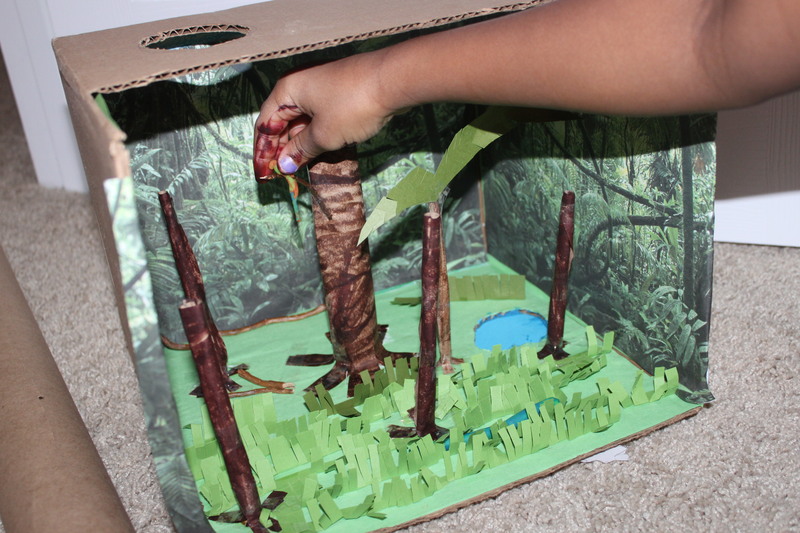 Olivia was able to choose the habitat, and she chose the tropical rainforest. We had SO much fun working on this today, and we’re not finished! If you look closely you can see a mama and baby sloth, a red-eyed tree frog, a parrot, an ocelot, and even a howler monkey. I was planning to head to Lakeshore Learning to get modeling clay for the figures, but we worked with what we had and it was a great experience. I lost count of how many times Olivia or Farrah said, “I have an idea…” to offer a solution to a problem we were facing (how to get the trees to stand up, what to do for branches, etc.). And they did have some really good ideas! Improvising gets the creative juices flowing!